With the PV (photovoltaic) solar panel industry now fretting over the latest government changes to the feed-in tariffs, we explain why solar panels will continue to be a part of everyday life, even here in Britain. We have all seen solar panel installations appearing on homes over the last couple of years. The decision to buy by the owners of about 50% of those solar installations had been helped by the first feed-in tariff scheme introduced in 2010. Contrary to popular belief, the decision to buy has not been spoiled by ‘generous’ companies giving away ‘free’ solar panels but has been helped by fear of escalating energy prices in the future. The ‘free solar panels’ era is coming to an end because the demand is so overwhelming and unsustainable in the long-term. The underlying reason for this stampede for solar panel technology, which began in 2008, is the realisation in many homes and businesses that the golden era of cheap energy is a thing of the past. You don’t need a crystal ball to predict that energy bills will continue to climb relentlessly year upon year. The feed-in tariff will continue to reward new adopters of solar technology, and people can quietly sit back and see their investment reap the rewards over the coming years, as traditional fuel prices continue to rise. Stuart Lovatt, the founder of Heat my Home adds “It was only a few years ago that we had to explain the benefits of such installations to every enquiry we received. Today, ‘the cat is out of the bag’ and with or even without the current feed-in tariff scheme, people are waking up to the fact that the energy they burn, whether oil, gas or electricity comes at a premium price. Solar panels, even in the United Kingdom, will cushion any household from this now worldwide problem. The message that we’re giving out loud and clear is “fit a solar panel system-and whether it is for solar heating or solar water heating, you can cushion your household from the world of global energy pricing for as long, or even longer than your mortgage lasts. Fit and forget.” says Mr Lovatt. With an average conservative estimate on annual household energy bills climbing to £2,000 by 2020, the benefits of solar panels are now plain to see. With a long life of up to 25– 30 years, an investment in green technology is not only good for the environment but also good for your wallet in the long-term. A quality solar heating panel system can provide around 60% of your home’s hot water needs, according to the Energy Saving Trust who recently conducted field tests with this technology. A 12 month trial of 88 homes revealed that the quality of the system installation and the way in which householders used their solar panel or solar tube system could make a massive difference to the results. For instance, a household with more than two occupants could benefit more from the system, making this an excellent technology for families with higher hot water demands. This technology works well in the United Kingdom. Great strides made in the standards of installations over the last few years and this rather simple, but very useful technology can help sometimes reduce that your boiler has to fire up over the course of a year. The Renewable Heat Incentive Scheme pays 8.5p per kWh produced for a guaranteed 20 years on installations put in place before April 2013. Solar heating’s big brother, photovoltaic (PV) panels have recently stolen all the limelight recently with the feed-in tariff scheme. The simplicity of this type of installation is part of its appeal with 70,000 fittings made in the last year alone. Depending on your power consumption level, these now more affordable systems can be installed with minimum fuss and can contribute as much or as little as your budget will allow, with systems sized between 1KW– 5KW. The amount of power these systems generate will vary across the country, but you can have an individual home survey, which can work out exactly what output you can expect. You must be quick. 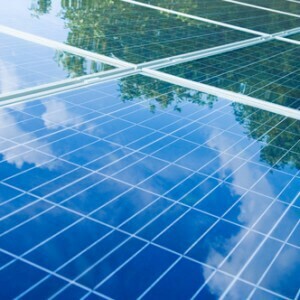 The current feed-in tariff is going to be reduced to 15.44 pence per kWh on 12 December 2011, only because demand has proven to be too high at the current 41 pence per kWh level. Whichever solar technology you choose, it will undoubtedly hold you in good stead over the coming years and will be an essential tool in the ever-escalating energy price war.